Scientists have recently made a major discovery that could lead to a breakthrough in the treatment of Alzheimer’s disease. A recent study published in Nature Medicine reports that researchers were able to identify the primary genetic risk factor the development of the disease, and they even figured out a potential way to neutralize the risk factor. According to the study, the main genetic risk factor for Alzheimer’s disease is a gene known as apoE4. If an individual has one copy of the apoE4 gene, they have over double the chance of developing Alzheimer’s as opposed to someone who has the most common version of that gene, called apoE3. Meanwhile, having two copies of apoE4 gives a person twelve times the chance of developing Alzheimer’s when compared to those who have apoE3. ApoE4 is responsible for the creation of a protein (also called apoE4). The apoE4 protein is similar to apoE3 is almost every respect, except for a small change to its structure. This small change to the structure is enough to make the protein dangerous when it’s improperly synthesized. When the misshapen protein is broken down, the dangerous chunks of the protein then float around the cells of the brain causing damage. The protein chunks lead to many of Alzheimer’s telltale problems, including the buildup of amyloid peptides and tau proteins in the brain. A team of researchers at Gladstone Institutes established this by doing experiments using lab-grown cells, created out of samples taken from Alzheimer’s patients who had two copies of the apoE4 gene. 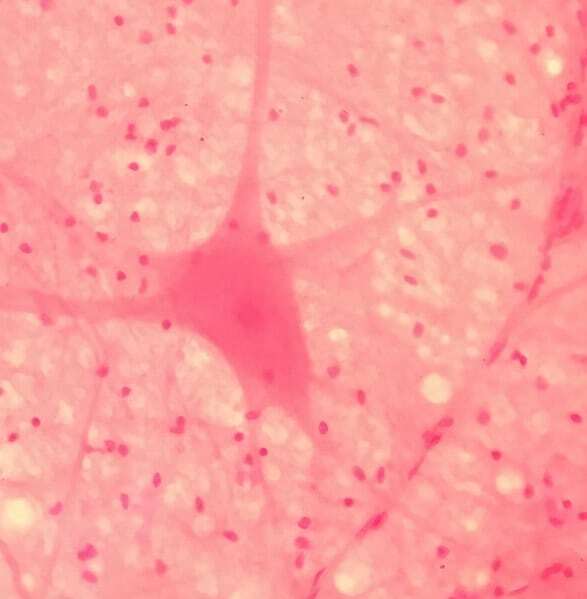 Brain cells were created from the samples using pluripotent stem cell technology, and the researchers examined how apoE4 influenced the brain cells. They then contrasted this with the effects of the proteins created by the apoE3 gene. According to the research team, the improper breakdown of apoE4 has the clear effect of increasing the production of amyloid beta. This happens in humans, but not in mice, which may be part of the reason that drugs which have proven successful in treating symptoms of Alzheimer’s in mice are often ineffective in humans. 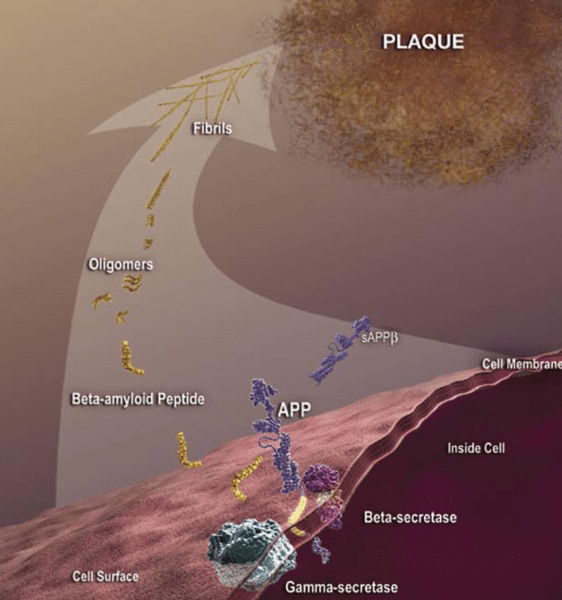 Chengzhong Wang, a former researcher at Gladstone and co-author on the paper agrees with Huang, saying that there are important differences between species in terms of how apoE4 influences the production of amyloid beta. Increased amyloid beta production is not seen in mouse neurons and could potentially explain some of the discrepancies between mice and humans regarding drug efficacy. This will be very important information for future drug development. It was also important to establish the nature of the relationship between the apoE4 gene and the cell damage seen in Alzheimer’s disease. It was unknown if apoE4 simply prevented apoE3 from functioning or if it was the apoE4 protein itself that caused the damage. In other words, would adding apoE4 lead to health damage or was it the fact that apoE3 was missing responsible for the damage? Huang says that this was a very important question to answer because it affects how treatment for the disease is pursued. If the damage is happening because of one protein not being present (if apoE3 wasn’t functioning), you could treat the disease by increasing levels of that protein. Yet if the damage was caused by the accumulation of a protein (if apoE4 itself caused the problem), you’d treat it by trying to inhibit production of the protein. Examinations of the lab-grown brain cells revealed the answer to this question. The researchers created brain cells which didn’t have either version of the apoE protein and found that the brain cells operated just like cells with apoE3, just like non-diseased cells. 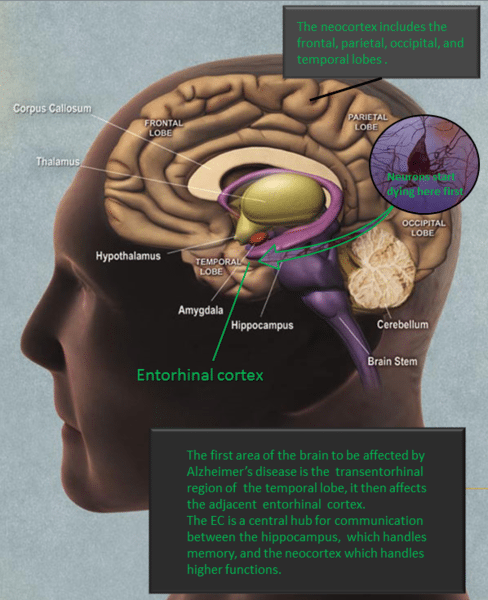 Yet when apoE4 was introduced to the cells, they developed the various problems that Alzheimer’s disease is known for. This seems to be solid evidence that the presence of apoE4 is the risk factor in developing Alzheimer’s disease, and not the absence of the apoE3 protein. The proposed solution to the problem was a change in the structure of the apoE4 protein. The research team investigated potential ways to prevent the damage caused by apoE4 and found that a certain chemical compound developed by Huang and collaborators in earlier work was able to alter the structure of the apoE4 protein. The structure of apoE4 was changed so that it was more like the apoE3 protein. These chemical compounds were referred to as the team by “structure correctors”, and the result of their use was that the symptoms of Alzheimer’s disease basically disappeared – the altered cells returned to carrying out their normal functions. The hope is that the new study could lead the way to a drug capable of treating Alzheimer’s disease. The research team has said that it’s important to proceed with caution and recognize that so far the structure correctors have only been utilized to treat a collection of lab-grown cells. The researchers will be working on the structure correctors to improve them so they may eventually be used in clinical trials on human patients. Shortly after the study was published, a coalition of scientists from around the world suggested a change in how Alzheimer’s disease is defined. The disease is currently defined by the manifestations of symptoms like memory issues, yet the coalition of researchers wants the disease to be defined using the chemical and biological changes that occur in the brain. The reason for the proposed change is that it would assist researchers in studying patients who currently have normal brain function but will likely develop the symptoms of dementia as the disease progresses. Essentially, researchers have to have some way of marking the stage of the disease where no symptoms have manifested yet. It’s hoped that redefining the disease would enable researchers to do experiments and studies earlier in the disease’s timeline. Tests for biomarkers of the disease are currently letting scientists run experiments that wouldn’t have been possible if they had relied only on symptoms to diagnose the disease. Combined with a surge of funding for programs researching Alzheimer’s disease, a redefinition of the disease may help scientists find treatments for it. The researchers making the suggestion to redefine the disease say that their proposed model is currently only intended for use in research and that it isn’t ready to be used by doctors.